There is a thriving music department at Liston that aims to provide the best opportunities for students to enjoy making music together. Boys have the chance to participate in a variety of co-curricular groups. Our musicians have a reputation for excellence and we aim to challenge and extend each student so that they can succeed beyond their expectations. The premier ensembles are combined with musicians from St Dominics College to foster collaboration between the two schools and allow students the opportunity to make music at the highest possible level. Our music groups are consistently high achievers in competitions and festivals. Liston Concert Band, conducted by Chad Davenport, performs a challenging repertoire of classical and contemporary pieces, continuously stretching the students to play at their very highest level. Liston Jazz Band – performs both classic and contemporary Jazz. Boys may have lessons on the following musical instruments through the itinerant music tuition program. Music lessons are for half an hour once a week during school time and cost approximately $220 per year. 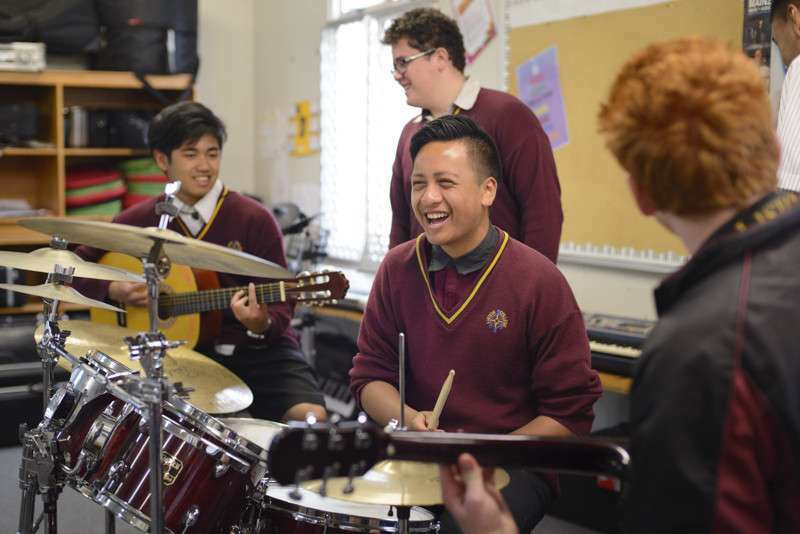 Boys do not need to be taking Music as a classroom subject in order to be eligible for these lessons, however, priority is always given to junior students taking option Music at Year 9 and 10 levels to ensure support for the performance component of their course. There is limited availability of itinerant lessons, particularly for popular instruments such as guitar and drums. Enrolment for these lessons is during either the first or second week of Term 1 each year. Sign-up times for these lessons will be advertised in the Music department and in the daily notices during Week One. It is the responsibility of students to find out when the sign-up day for their instrument will be, and then to be present to meet the tutor promptly. Students who fail to turn up or who are late may find themselves on a waiting list.